Have no fear, the 2019 SIP Hope Town daily schedule is here! Each day is chock-full of fun that you won’t want to miss. Reservations are not required, but, they are recommended since each venue fills up quickly. If you are unable to get a reservation, our advice is to arrive as early as you can to find a spot where you can kick back and relax. This schedule is strictly for all the extra events that are happening, not when each musician will be performing. The idea behind the non-scheduled line-up is to have all SIP Songwriters playing a little something each night. Strict schedule or not, the good times will be rollin’. Remember, thanks to generous venues and sponsors, SIP Hope Town is free to the public! The only event that is $20 at the door is the Hope Town Fire & Rescue Benefit. February 12th: Opening night Tuesday night at Firefly— 7th annual SIP Hope Town “Jam & Greet.” This will be a relaxed night with old friends, new friends, Whiskey Jam cocktails and to hear a few songs from each SIP Songwriter. February 13th: The second show will take place Wednesday night at Sea Spray Resort & Marina, White Sound, Elbow Cay, Abaco, Bahama. February 14th: Thursday night’s SIP show is the Hope Town Fire & Rescue Benefit at The Harbour’s Edge in downtown Hope Town. This bar packs out for almost three hours of non-stop music. Please note, this is the only event that has a fee which is $20. This is a benefit and your generosity is appreciated! —Join the SIP Hope Town Songwriters Friday morning from 10:00 a.m. – 12:00p.m. for a beach clean-up on Elbow Cay. If you’re interested in helping beautify the island further, you can meet at the Abaco Inn at 10:00a.m. Once there, everyone will break into “pick up crews” to walk and pick up trash between Abaco Inn and Sea Spray. Trash bags will be supplied. —The Friday night show will be at Hope Town Inn & Marina. The stage is set up right on the sand so the audience can relax in beach chairs or on blankets! — Saturday afternoon will be the third annual charity basketball game. It’ll be Team Django vs. Team Devero at the downtown Hope Town basketball court at 1:00 p.m. Raffle tickets will be sold for $20 each for either team, and all proceeds are going to SIP Hope Town charities. —The annual Saturday night blow out is something you won’t want to miss. This non-stop, fun filled evening are at The Firefly Sunset Resort. Last year’s Saturday night was overflowing, so we recommend getting here early and not moving! — The annual Sunday afternoon farewell show will be at the Abaco Inn at 1:00 p.m.This is a bittersweet event, but still so fun! — What was an initially an impromptu Sunday night charity karaoke has become an annual part of the SIP line-up. How does it work? If you want someone to sing a song they get to choose, you pick the person and donate $20-$99 to the SIP Hope Town charity fund and they pick a song they want to sing. However, if you want someone to sing a song that you pick for the, you donate $100-$500 depending on how bad the song is. This is the perfectly hysterical way to end the week in paradise! Hopefully you can make it to all of the events through the week. If not, you’ll have a blast at any single one you can get to! You can also get an additional schedule break down here. Songwriters in Paradise 2019 – more music, more fun! Do you love music, sunshine and good times? What a silly question — because who doesn’t? The 2019 Songwriters in Paradise is almost upon us, and it’s safe to say the excitement is real. If you’re going to be in the Abacos, Bahamas February 12th-17th, 2019, you don’t want to miss this legendary event. If you weren’t planning to be there, well, you may want to book a trip! In case you aren’t familiar with Songwriters in Paradise (SIP), here’s a little background for you. It all started in 2013 when Nashville based singer-songwriter Patrick Davis turned what was to be a solo appearance at The Firefly Sunset Resort into multi-day songwriting festival. Patrick’s first SIP Hope Town had eight songwriters and three nights of music. Seven years later, what started out as a small event has grown tremendously to six days of music, over a dozen songwriters, and has even expanded to other locations. Now, we don’t want to keep you waiting much longer. Here are the Songwriters you can expect to see at the 2019 event. Six days, 16 songwriters, and all the good times in between. Be on the lookout for an upcoming schedule of daily events for SIP HOPE TOWN and remember, if you’re not already booked for a trip out here, hop to it. There’s many new flights to Marsh Harbour making it easy to hop on plane. Kristian Bush is not only one half of country music super duo SUGARLAND but also an highly successful songwriter, singer, solo artist, multi-instrumentalist, producer & even podcast guru. We at SIP HOPE TOWN could not be happier to have Kristian join us for the 3rd time this February & look forward to hearing Kristian’s hit songs “Stuck Like Glue”, “All I Wanna Do”, “Trailer Hitch” & many more. Nashville’s James Otto is a Music City legend as both a singer & songwriter thanks to his decade plus track record of producing hits as both. As a songwriter James has written hits for Jamey Johnson (“In Color”), Zac Brown Band (“No Hurry”) & Chris Janson (“Holding Her”) while as an artist James has found radio success with songs like “Just Got Started Lovin’ You”, “Groovy Little Summer Song” & more. BIG MACHINE Recording Artist Lauren Jenkins is a Fort Worth, Texas native & Charlotte, NC raised singer-songwriter & artist who is quickly becoming one of Nashville’s brightest up & coming acts. Lauren, whose debut album is scheduled for release in early 2019, has the smoky vocals of Stevie Nicks, the honest lyrics of Lucinda Williams & the artistic vision of Ryan Adams rolled up into a unique package set to arrive on the Music Row scene like a midnight freight train. Wyatt Durrette is one of the most successful songwriters in Nashville history thanks to both his immense talent & his long time creative relationship with his friend Zac Brown. Wyatt has penned an incredible thirteen #1 songs including “Chicken Fried”, “Colder Weather”, “Toes”, “Whatever It Is” & many more. Hootie & the Blowfish guitarist Mark Bryan is a musical icon to many of today’s musicians who grew up as kids of the 90’s, but what most folks don’t know is besides being a founding member of one of history’s biggest bands Mark is also an accomplished producer, songwriter & college professor. The Hootie boys are planning a reunion tour in 2019, but before that kicks off SIP NAPA is lucky enough to have Mark in our inaugural line up where you are sure to hear his monster hits “Only Wanna Be With You”, “Time”, “Hold My Hand” & more. Ira Dean is a singer, songwriter, multi-instrumentalist & artist who has been lucky enough to find some big success in Music City, USA. Ira was one 3rd of early 2000’s hit country group “Trick Pony” & when “Trick Pony” disbanded in 2009 wasted no time in recording his own solo albums & also writing songs for folks like Gary Allan, Chris Young, Montgomery Gentry, Jake Owen & more. Ira’s hits include Montgomery Gentry’s “One in Every Crowd”, Gary Allan’s “Feeling Like That” & his Trick Pony hit “Pour Me”. This will be Ira’s very 1st SIP HOPE TOWN. Austin, Texas native Django Walker is a singer, songwriter & artist who tours relentlessly on the strength of his own albums while also penning songs for fellow Texans Pat Green and Josh Abbott & even international superstar Jimmy Buffett. Django’s father is legendary country music outlaw Jerry Jeff Walker & with his rather impressive family lineage it is no surprise that Django’s musical path & artistry is both heartfelt & all his own. Talented multi-instrumentalist, singer & songwriter Levi Lowry is a Georgia native who has a love for all things music in his DNA. Levi’s grandfather was a famous singer & fiddler & since an early age Levi has followed in the family tradition of roots music & expert musicianship. Levi, who tours relentlessly behind his own artistry, has also written songs for his good friend Zac Brown, including “Colder Weather”, “The Wind” & others. Johnny Bulford is a former University of Florida Gator football player who after a career ending injury decided to try his hand at singing, writing & playing music & it seems that decision has worked out well. Johnny, who possesses one of the purest voices you will ever hear, has also had great songwriting success with hits recorded by Lee Brice (“Woman Like You”), Chris Young (“Lonely Eyes”) & others. Heidi Raye has co-written songs and toured with some of country music’s elite like Kenny Chesney, Randy Travis, Jason Aldean, Terri Clark and Reba McEntire. Heidi, who is the very first artist on Hall of Fame Songwriter Harlan Howard’s label, Harlan Howard Records, released her first EP, “Worth A Shot”, in 2017 & since then she has been touring & writing almost non-stop. Paul McDonald is a non-stop creative force who will be making his very 1st SIP HOPE TOWN appearance this coming February. Paul, who is one half of folk duo “The Sweetheart Deal”, is an American Idol alum & also a work horse who tours almost year round behind his powerful vocals and heartfelt songs. Channing Wilson is somehow 100% throwback, 100% current & 100% what is needed in today’s homogenized popular country music landscape. Raised in the mountain country where Georgia, Tennessee & Alabama meet Channing’s lyrics haunt you like the best lines of Guy Clark, Hank Sr. & Waylon while his voice carries like the sound of a runaway train falling off the rails in the Rockies. Grammy Nominated Singer-Songwriter & Piano Man James Slater is a Panama born North Carolina raised Nashville based Music City Legend. James who has toured as both a headliner & backing musician for artist since the age of 16 has written monster hits for Rascal Flatts, Tim McGraw, Jamey Johnson & many others. James hits include Martina McBride’s “In My Daughter’s Eyes”, Jamey Johnson’s “High Cost of Living” & more. Chicago native Chris Gelbuda is fast becoming one of Music City, USA’s most sought after songwriters, musicians & producers. As a musician Chris is an occasional member of The Grateful Dead’s Phil Lesh & Friends, as a writer he has had his songs recorded by Meghan Trainor, Billy Currington, Frankie Ballard & Dustin Lynch while his producing credits include songs by the aforementioned Meghan Trainor, including the world wide smash hit “Love Me Like You’re Gonna Lose Me” featuring John Legend. David Borne is Louisiana born Nashville based singer, songwriter & artist who is both one of Nashville’s hardest working musicians & most unique vocalist. David’s style is reminiscent of Amos Lee, Ray Lamontagne or David Gray & is an upcoming talent not to be missed. David released a well received EP titled “Break My Own Heart” in late 2017 & is currently working on recording & writing a brand new album. Visiting Hope Town this Easter? 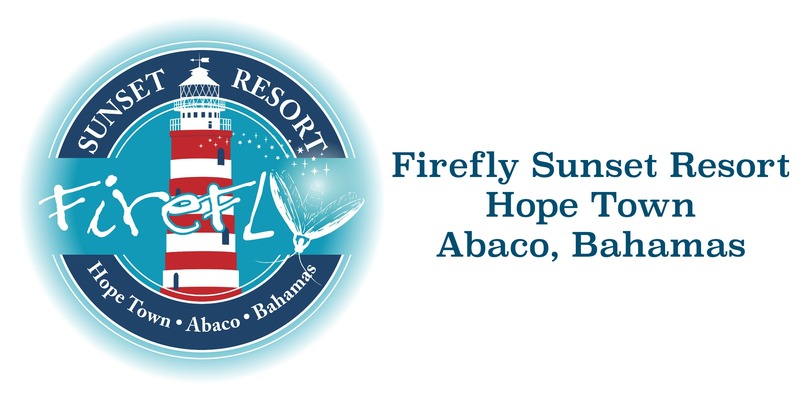 Be sure to hop on over to The Firefly Sunset Resort March 31st for some family fun, island style! Halloween is almost here! Celebrate with us at Firefly Sunset Resort Saturday, October 28th for a Spooky Scavenger Hunt and fun for the whole family! The Hope Town songwriters festival is less than a month away and we couldn’t be more excited! If wanting to dine with us during the week call to reserve your table now, space fills up quickly during this much anticipated event. We are exactly one month out from the island being filled with Nashville’s finest musical talent. Check out the schedule below and mark your calendar – we are looking forward to the best year yet! Join us THIS FRIDAY for Elizabeth Covington Live at The Firefly Sunset Resort. The perfect way to kick off the holiday weekend in the islands! Don’t miss out on the shopping & savings because your on vacation this Thanksgiving! We’ve got the perfect solution- Shop AND Sip with the Firefly Sunset Resort.